Hi friends! 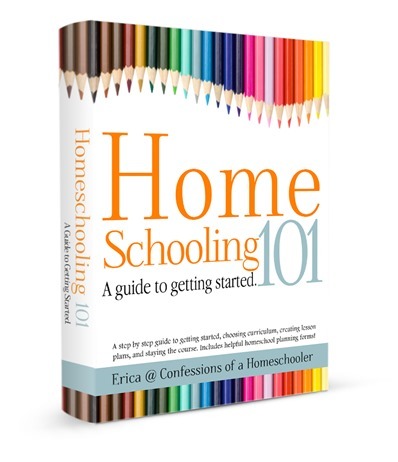 Today I’m sharing our top homeschool curriculum picks for Reading! 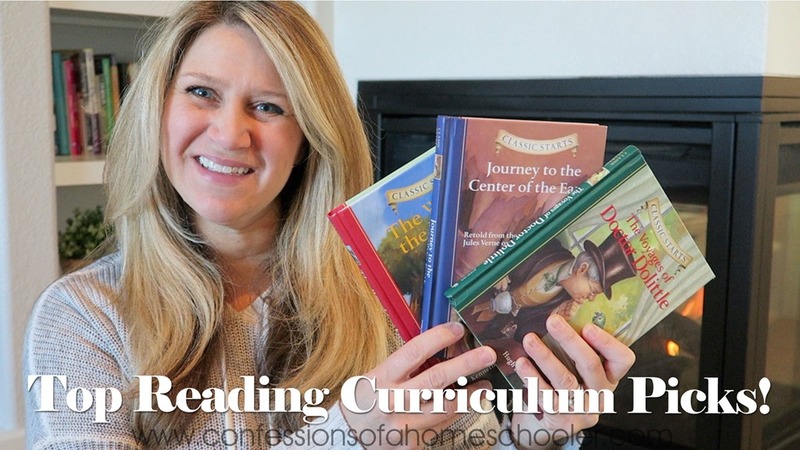 Watch my Top Homeschool Reading Curriculum Picks video here! Want more info? Stop by my Reading Curriculum Forum where I shared some of my favorite resources and my community piped in with their favorites too! I’ve never heard of Bookshark but it looks like it fits right in with what I look for in a program – very little teacher prep and works with a 4 day a week homeschool schedule. Thanks for sharing. Hi Erica! I was wondering if you have your children complete book reports at all? It depends, when we’re doing my Literature Units I will usually have them do a final book report on them, but it’s totally up to you. My fifth child is learning to read and I’ve wondered if there is something better I could use other than what I had for the previous four. It takes so much time and effort to research new curriculum and find out just what is in it that distinguishes it from another. I really appreciate you taking the time to put together this video to compare/contrast some of the different options. Thank you! BTW-I love your preschool printables and have used a number of them with various children for phonics work! I usually move on after about 3rd grade into a less formal reading program. I like to use my Classic Literature Units for elementary aged students, and then we’ve been using BookShark for the older kids. Since that can be a bit pricey, you might just look online to see if you can get their book list, or even just search Sunlight’s reading program to get their book list and start reading from those. Abeka sounds great for our needs. I think I will try to find them used as I am still a little strapped for money. I like the idea of stop and think about it. I usually will even add some of my own questions about what we find interesting in the story. Thank you very much for the video! Too bad you haven’t tried the Bookshark History with Reading! The magic of Bookshark is how it makes history come alive with the historical fiction! We read the books from the Sonlight lists with my oldest for years, but when I actually bought the instructor’s guide and did the whole thing (just bought the guide and then bought the books used), it was so much better! We switched to Bookshark from Sonlight shortly after that and love it! It is almost identical, but without religion.